Over the last few months we have extended our learning and outreach programme to reach Swansea’s community of asylum seekers and refugees. 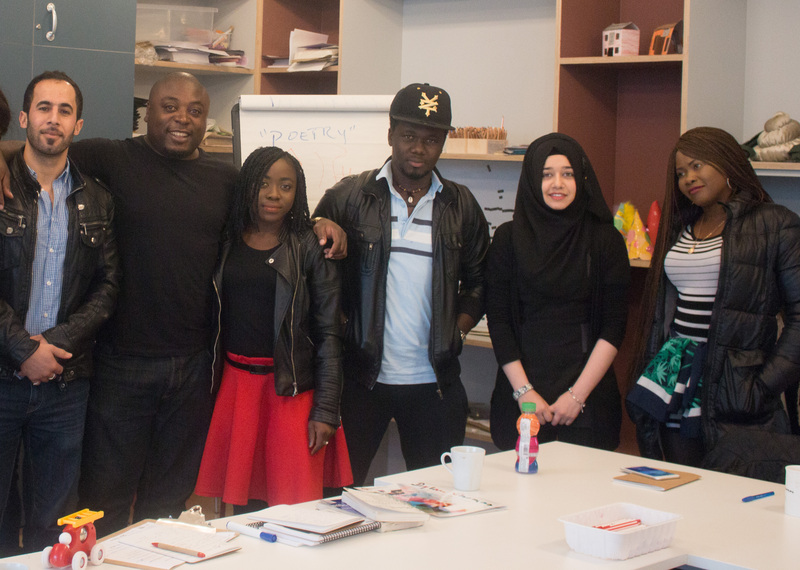 Led by the poet, dramatist and novelist, Eric Ngalle Charles, these workshops have explored the ways in which creative writing might be used to convey the challenges associated with being an asylum seeker or refugee. Whilst Dylan Thomas himself never experienced displacement on this scale, his words can still be used as a springboard for creativity, and it’s been great to see how his work can inspire people from such diverse backgrounds. 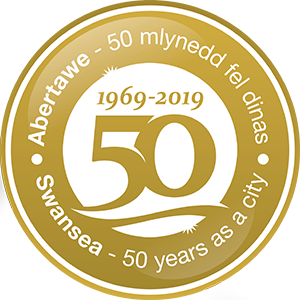 In order to make the sessions accessible for all asylum seekers and refugees, the Dylan Thomas Centre was pleased to be able to reimburse Swansea bus transport tickets as well as offer childcare services for those who required additional support. Whilst parents engaged with the workshop and discussion, children were entertained with puppets and other activities, including seasonal colouring in. Our December workshop ended with a feeling of real celebration, thanks to dedicated participant Saba Humayun. Noticing that it was Eric’s Birthday the week before, Saba baked him a beautiful cake which inspired a big sing song and lots of hip-hip hoorays. To thank Eric for his exceptional work (and in honour of his Birthday), the team at the Dylan Thomas Centre presented him with a book of Welsh Women’s Poetry – perhaps to inspire his 2018 workshops! To find out when our next Refugee and Asylum Seeker workshop is, or for more information on any of our other upcoming events, call the centre on 01792 463980.